What is an automated event ? How does this help in my management ? 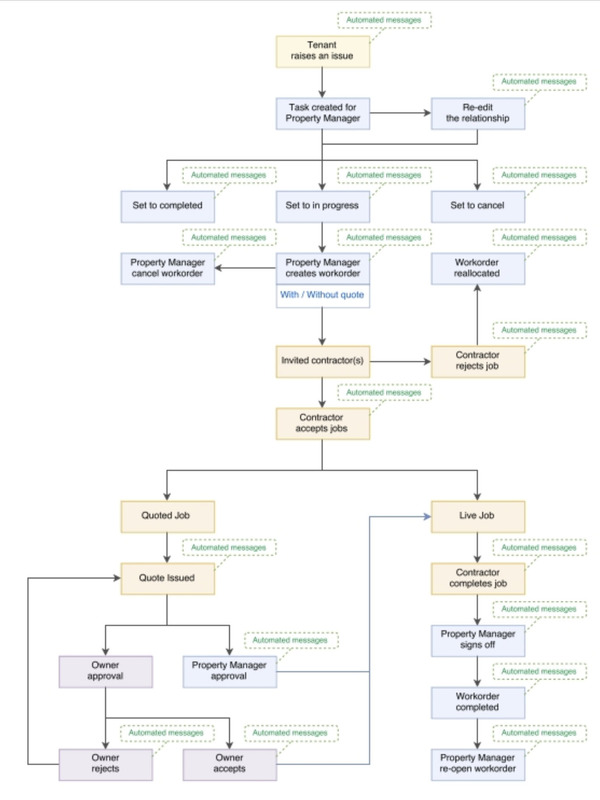 During the course of a tenancy or when handling tenant issues and workorders there are numerous events that may occur that require you to trigger automated responses. 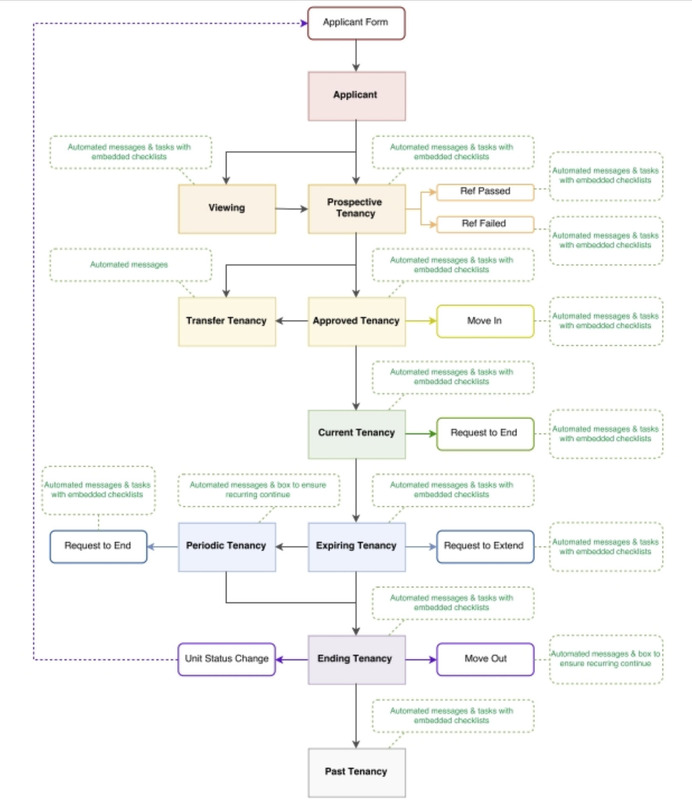 These are demonstrated by the the two workflows below showing a tenancy and a job. The green boxes display the area where actions can created in response to events. Where are these automated events located ? How are events and actions displayed ? Can more events be created ?